Join Nancie Wiseman in her new knitting workshop video and learn how to knit short-rows for shaping, colorwork, patterning, and much more! 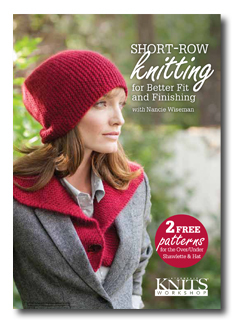 Learn How to Master Short-Row Knitting with Nancie Wiseman's New Knitting Workshop Video! What is short-row knitting, and when is it used? If you've ever knitted a sweater or socks, chances are you've knit short-rows for shoulder and heel shaping. 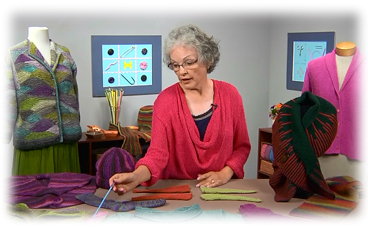 Even if you haven't used short-rows for shaping, you can easily learn how with Nancie Wiseman's new workshop video. Nancie shows exactly how to knit short rows, which she describes simply as "half-way-down" knitting. Finishing with Nancie Wiseman Today!